KYLIE Mackey was so overweight and unfit last year she couldn’t walk to the letterbox without getting tired. 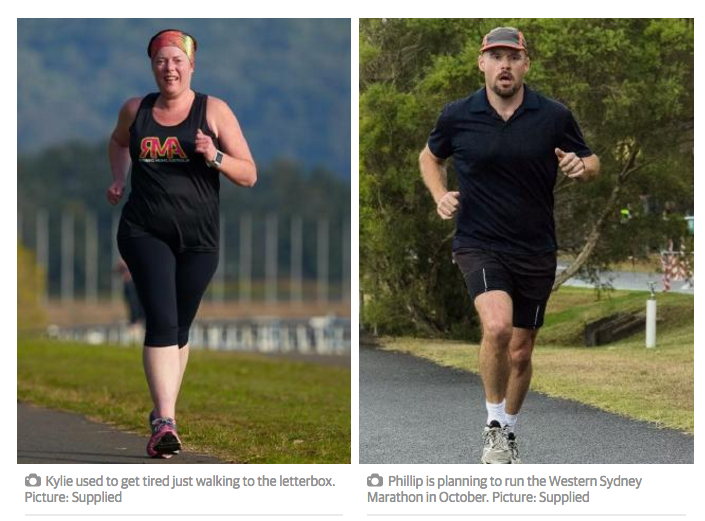 The 43-year-old mother of two from Penrith watched in awe as her husband Phillip totally up-ended his life and shed 50kg after their wedding in 2010, but a lingering depression meant she couldn’t muster the strength to follow in his footsteps. “I would come home from work stressed and in tears because things weren’t going the way they should be going. I was unhappy with myself,” she told The Daily Telegraph. After the couple’s daughter Emily was born in 2011, it was a time of joy for the new parents but Kylie’s depression continued to haunt her. Two years later Kylie gave birth to son Liam who was born with a number of serious disabilities that meant he would never be able to walk or talk and would require around-the-clock care from his parents. Their little boy spent a horrific first year in and out of hospital, with the first 12 weeks of his life confined to the intensive care unit. Much of Kylie and Phillip’s time was spent looking after Liam and Emily, but it wasn’t until last year that it dawned on Kylie how important it was that she was around to look after him. “In about April last year I decided this child — both of our children — need me and this little boy is going to need me to be around and be the best that I can be for as long as I can be that,” she said. There weren’t enough hours in the day for Kylie to really put in the initial effort needed to start the transformation so she opted to begin the change by undergoing gastric sleeve surgery. She followed that with a big change in diet and regular exercise and the effects were immediately obvious. The couple have come a huge distance since their wedding day. “I couldn’t find the time to get out and exercise and couldn’t find the energy to do it so thought I could kickstart it by doing this surgery,” she said. Everything has changed for the couple since they exchanged vows six years ago. Back then date night would involve lots of food and a movie, or they might not even venture out of the house, instead choosing to sit in front of the TV and watch movies. “Now when we go on a date it’s to the gym and then maybe for coffee afterwards,” Kylie said. Not content with walking, Kylie and Phillip decided they wanted to take their new-found lease on life a step further. “At the beginning of this year I realised I had always wanted to be able to run and I’ve never been able to do it,” Kylie said. She’s also getting ready to compete in a triathlon later this year and Phillip will be running the full marathon in October. “We are pretty much dedicating that to our son because he’s the reason that I’m better,” Kylie said. The mum was even planning to take part in the New York Marathon in November but can’t afford the time away from Liam at the moment. 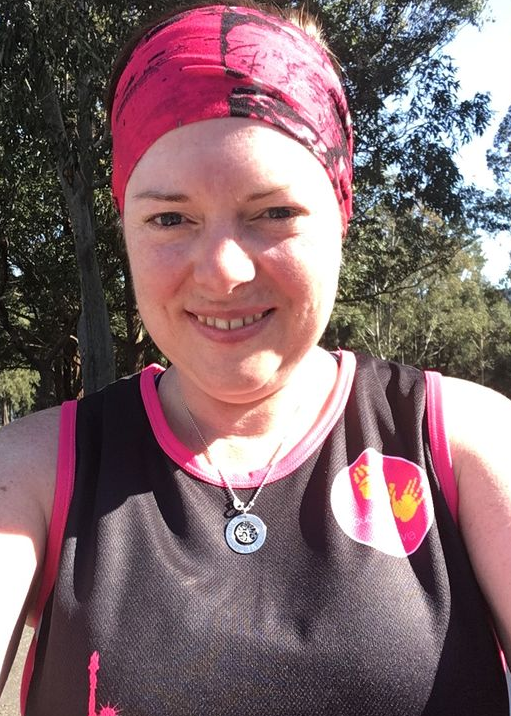 Instead she committed to running 50km across the week of the event and is raising money for Touched By Olivia, a foundation that ensures there are inclusive playspaces for kids with disabilities. The challenges that have been thrown at Kylie and Phillip over the past few years could have completely overwhelmed the couple, but it actually did the opposite. “I finally had purpose in my life. This little boy needs me and I can’t let him down,” Kylie said.